Apple CEO Steve Jobs’ company may constantly belittle Microsoft in its ads, but in all accuracy, there’s a lot of love between the companies. A large number of Macs run Windows installs via boot camp. And a large number of Windows users interact with Apple products such as the iPods and iPhone. Speaking at a special CNBC segment, “Warren Buffett and Bill Gates: Keeping America Great”, Bill Gates, the world’s wealthiest man by current estimates and cofounder of Microsoft had kind words for the at-times divisive leader of Apple, Inc., Steve Jobs. 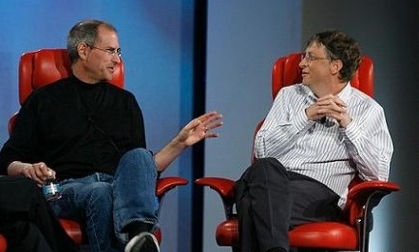 While that remark might hurt Gates’ buddy and current Microsoft CEO Steve Ballmer a bit, it is a symbolic of the deep respect Jobs and Gates — two of the world’s most wealthy and influential men — have for each other (Gates has roughly 8 times the current net worth of Jobs). The remarks weren’t the first kind words exchanged between the gentlemen. In 2007 at the D5 Conference, the pair met for an interview with The Wall Street Journal’s Walt Mossberg. 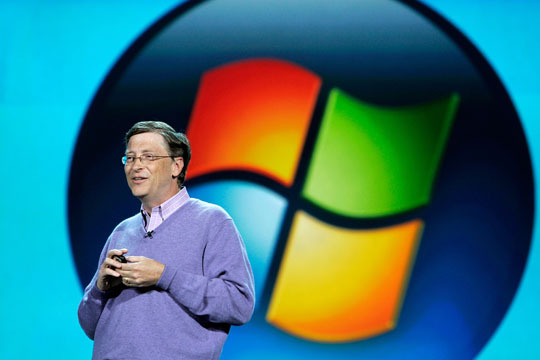 Both made complementary remarks at the interview, with Jobs commenting that with Microsoft Bill Gates had founded the first true software company. Gates had likewise praised the populist approach that has driven Apple under Jobs’ leadership. At the CNBC segment Gates pointed out that Microsoft still makes software for Apple computers. He said that Office 2010 should be a top seller for the Mac and tells Apple’s customers to look forward to the new version of the Outlook mail client, packaged with the Office 2010. The new version custom-made for Macs is based on Apple’s OS X development layer, Cocoa.